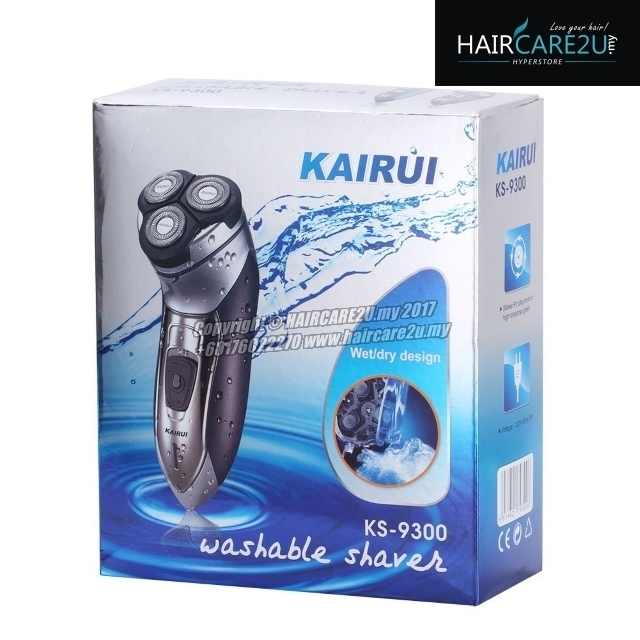 The KAIRUI KS-9300 shaver has a unique double-ring super-speed cutter head which can finish all shaving movements like tangent shaving at one fling without letup. 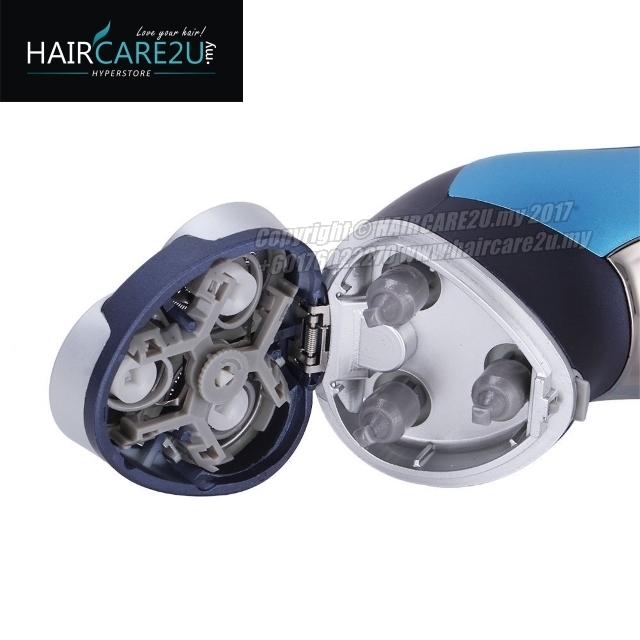 Individual reflex action system can always get close to the facial contour to effectively shave the hair of any lengths and in any growing directions. - 100% brand new and high quality washable 3-head wet and dry cordless men's shaver. - Equipped with 3 blade foils for shaving. - The blade is capable of swaying left and right, up and down. 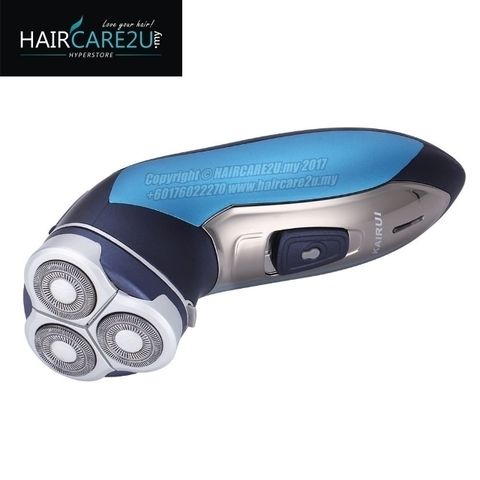 - Rechargeable cordless design with dual floating heads for a clean, close shave. 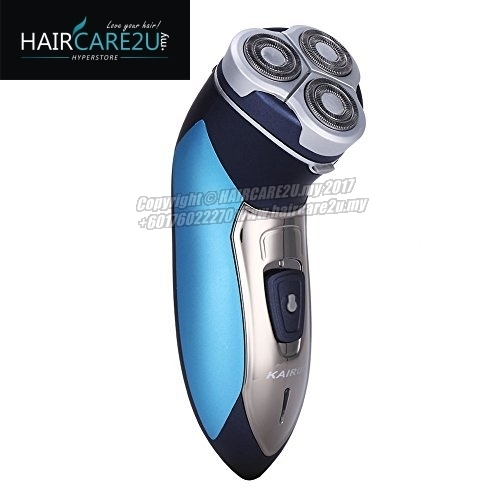 - Built-in trimmer is ideal for neck and sideburns. 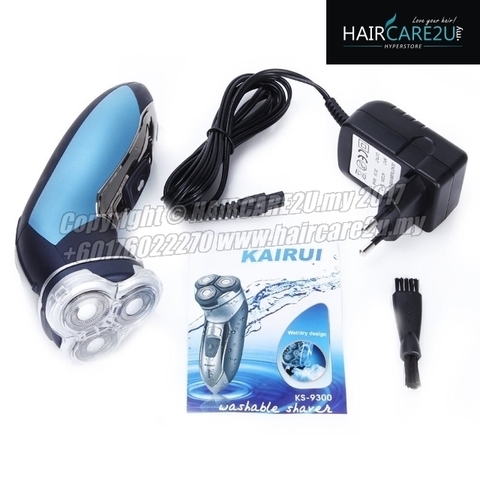 - With waterproof design motor, it can be washable, and suitable for wet and dry operation for easy cleaning. 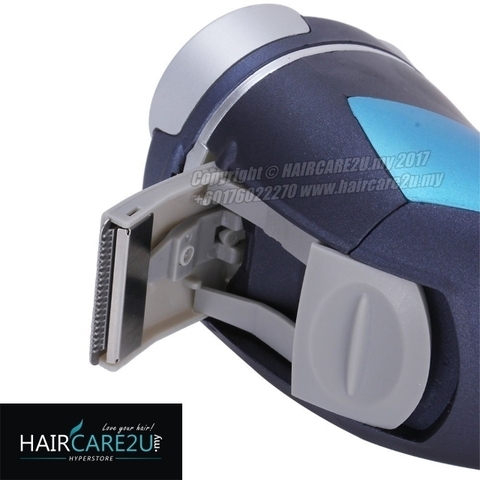 - Can always get close to the facial contour to effectively shave the hair of any length and in any growing direction. - Normal charging time is about 8 hours. 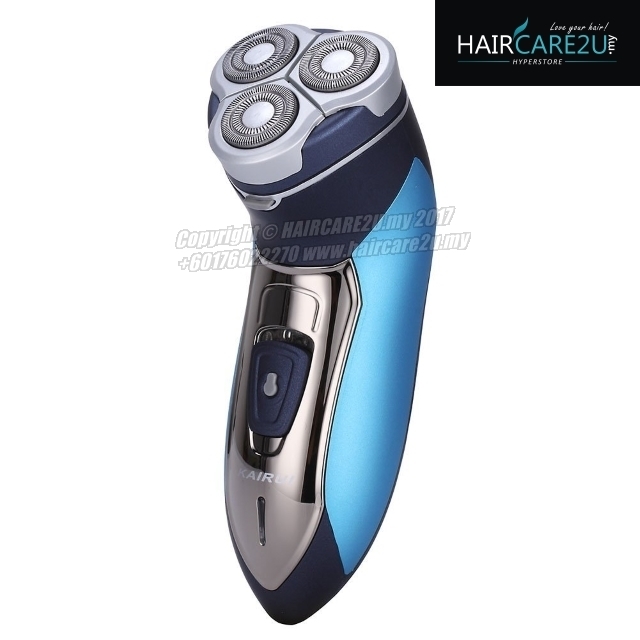 - After charging, the running shaving time is about 30 minutes. - Come with a carrying pouch, a power charger, 2 dual-ended cleaning brushes. - A wonderful present for your male friends and family. - Please keep the cover closed when the shaver is running to avoid ejection of blades. - Do not use the shaver near children, keep the trimmer out of the children. 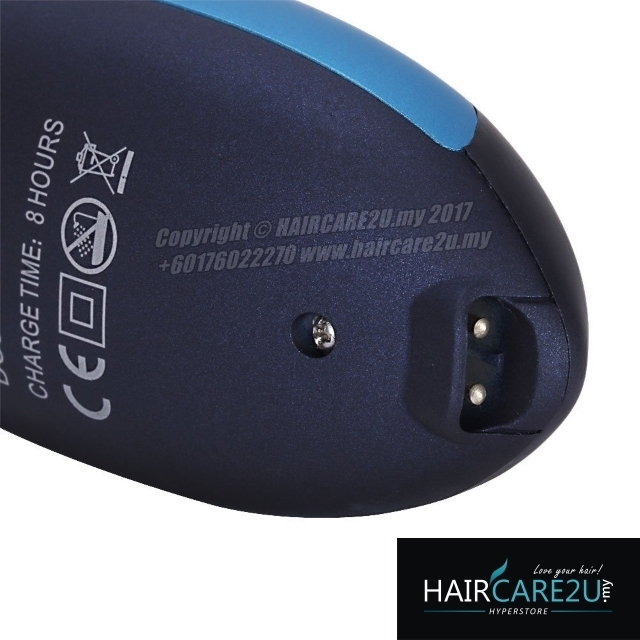 - Please note that shaver with power don't exceed 24 hours, in order to extend the using life of charger.